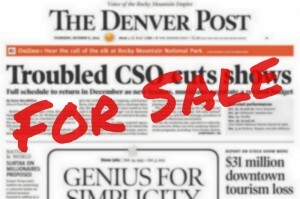 IN THE AUGUST Denver Newspaper Guild Representative Council meeting, delegates decided to propose a reduction in union dues if contracts with expanded union shop requirements are ratified by the non-newsroom and newsroom bargaining units. Several years ago, The Newspaper Guild (TNG) added a requirement of a monthly contribution to the national union’s defense fund to be paid by local unions on behalf of each member. Members of The Denver Newspaper Guild voted to increase dues by a small amount to cover that expense. Dues were increased from 1.3846 percent of pay, the minimum dues required in the TNG Constitution, to 1.4423 percent, the current dues rate. The tentative agreement for the non-newsroom bargaining unit includes a requirement that everyone covered by the agreement except outside sale staff must become members of the union or pay fees equivalent to dues. A full union shop has also been tentatively agreed to for the newsroom bargaining unit. These changes will increase dues income received by the union. Since the union’s income will increase if the tentative agreements are adopted, the Representative Council believes all members can pay a little bit less. So the Council proposes to reduce dues to the minimum required in the TNG Constitution. The Denver Newspaper Guild Bylaws require a vote at a membership meeting to change the rate of dues. If the contracts are ratified, a dues reduction will be voted upon at the October General Membership meeting.